MONMOUTHSHIRE campaigners have lost their three-year David and Goliath fight to stop a major housing development in their village, despite the land being granted village green status. Building giant Barratt Homes can now restart building 145 homes at Merton Green. The three-year bitter dispute between Barratt Homes and campaigners for the Merton Green Action Group, has come to an end, after a High Court ruling allowed the building company to restart halted construction work on the land. And campaigners revealed they cannot afford to appeal. The ruling effectively cancels out the findings of last year's public inquiry which awarded the land village green status. And is a bitter blow for campaigners who fought for years to save the area of recreational land near their homes following Monmouthshire County Council's decision to sell the land to Barratt with planning permission for 145 new homes. 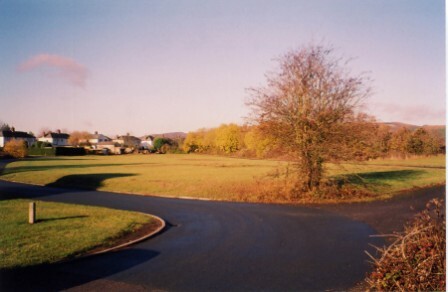 Residents argued that as the land was used for recreational purposes for over twenty years it should be granted 'village green' status and be protected from any building development. But elation at the outcome of last year's four-day inquiry, which found that the land should be granted village green status, was short lived. Within days Barratt appealed at the High Court in Cardiff, and the court has now ruled the company can continue building the houses. Adrian Spooner, a key member of the MGAG said: "Our campaign was justified when we won the public inquiry. "The judgement delivered from the High Court invited an appeal, but unfortunately we are in no financial position to do so. It seems to us money has won over justice." Managing director for Barratt South Wales, James Groombridge said: "I am pleased the High Court has confirmed we have the right to build homes on our land in Caerwent irrespective of whether it is registered as a village green. "We acquired the land in good faith from MCC and only started work on site once full planning permission had been achieved. "We have always felt that the action group had been ill advised. Ffrom the outset we had regular dialogue with them and it is unfortunate we had to rely on the court to bring this matter to a conclusion."